Our new climbing wall in Vancouver!! Heavy work was never so much fun. 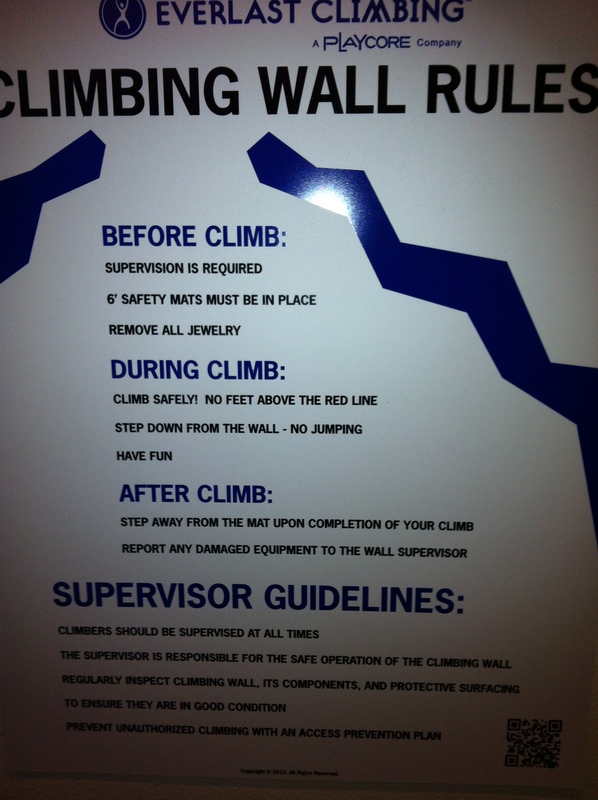 Welcome to the Vancouver APT’s very own climbing wall! 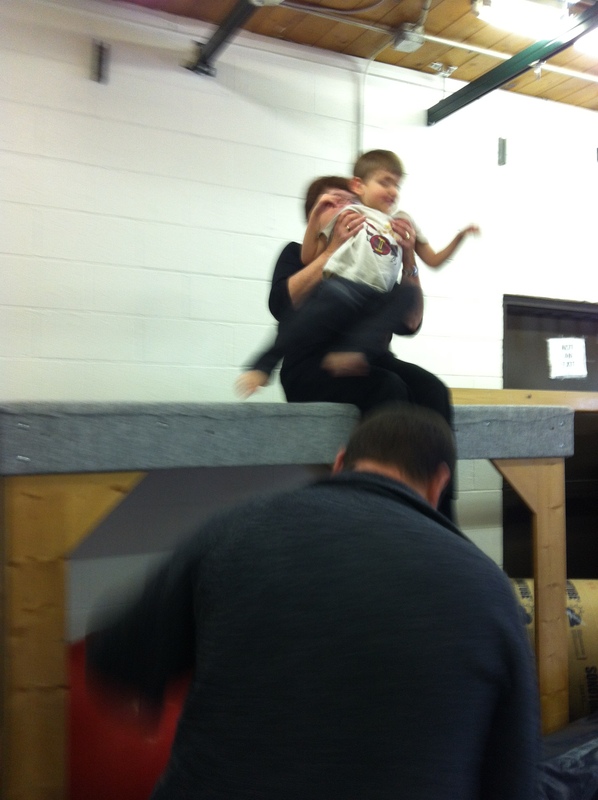 We are encouraging kids, therapists and families to get vertical with our newly installed climbing wall. As many of you already know, our therapy relies heavily on the value of heavy work to build muscles, improve concentration, calm a nervous system and prepare for more focused work. What is “heavy work” anyway? It is the resistive input through our muscles and joints which makes us aware of where our body is in space. Heavy work gives our proprioceptive sense information about our position in space. 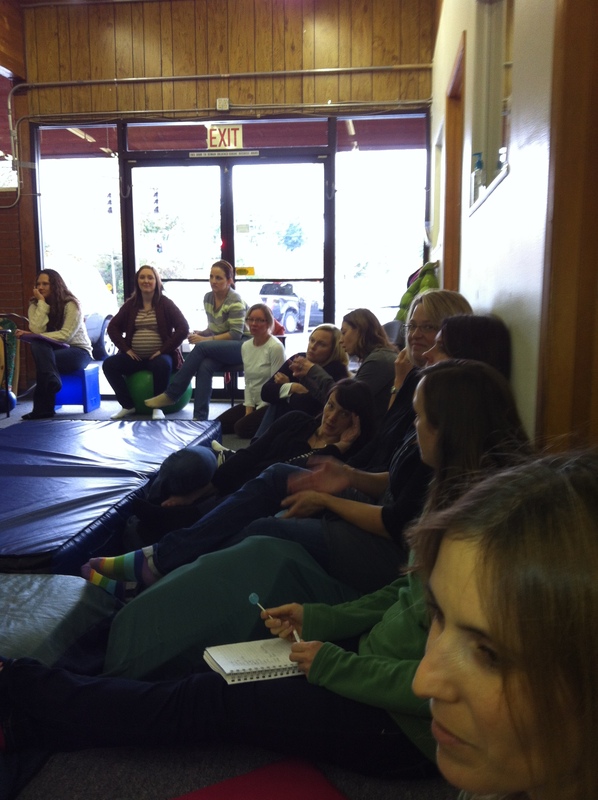 Some kids have difficulty interpreting proprioception and so may seek excessive forms of it. They crash, jump, move and shake in an attempt to gain more information about the interaction between their bodies and the world around them. This can show itself in kids who have problems grading movements. A child may appear clumsy or uncoordinated and break things often. They may often run into you to the point of driving you crazy! Lack of sufficient heavy work can lead to difficulty sleeping, paying attention and being able to calm down when upset. The list really is endless, the creativity is up to you. For more information on the type and duration of heavy work, best when used within a comprehensive sensory diet, please talk to your therapist. 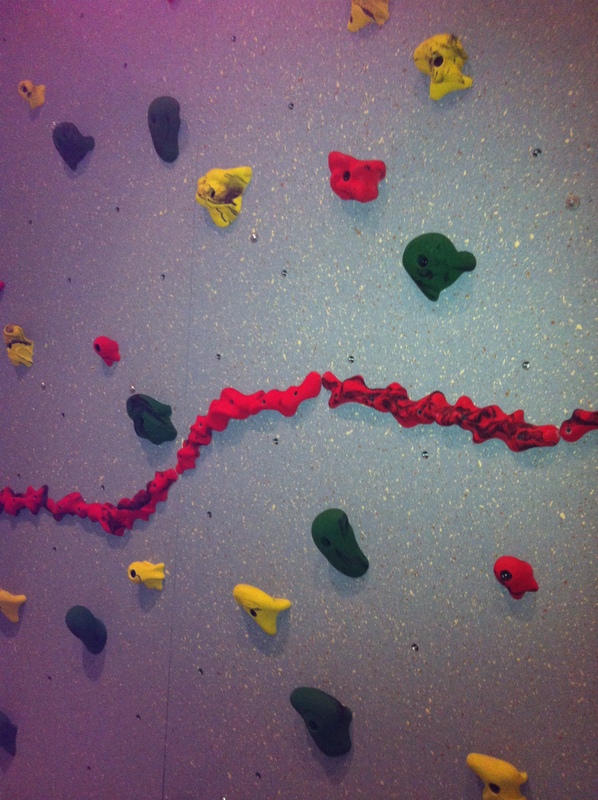 Until then, visit our climbing wall. We don’t allow kids unsupervised on the wall, and some families are surprised at yet another obstacle to the restroom, but we are happy to provide another fun movement experience for the kids at APT. 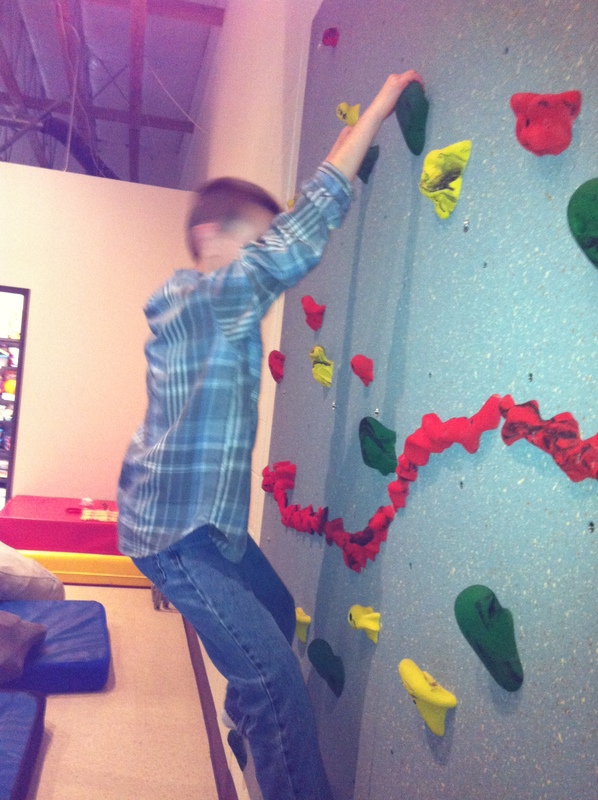 The climbing wall is designed to provide a safe, fun and challenging anti-gravity activity. If anyone at home has an extra bell lying around, we have had a request from a few kids to place one at the top for motivation. Thanks and have a great week.